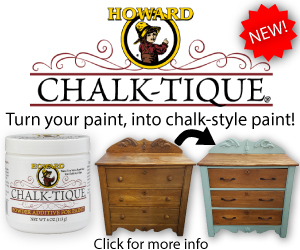 Home » Merchandising » Can Your Staff Fix This? Something’s wrong in the picture of the endcap on the left. Can everyone on your staff figure out what it is? In January, Hardware Retailing introduced a new series to help retailers and their employees strengthen their merchandising skills. Study the photo to identify where something is wrong or where you could make some improvements. Then, look below for the answers and a review of some of the basic tenets of merchandising. 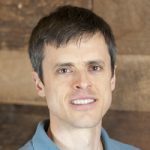 You can use this article as a refresher for yourself or as a training tool for your employees. Next, you might ask employees to look around your store. Are there any endcaps that need to be fixed? You might not have had the chance to fix it yourself, so it’s a good time to let your employees put their knowledge to practical application. There will be plenty to learn from each exercise. Empower employees to fix merchandising errors as small as products that need to be fronted or as big as an endcap that needs to be reset. The more they know about merchandising best practices, the better equipped they will be to fix problems when they arise. To take the learning opportunity one step further, allow your employees to create displays on their own. 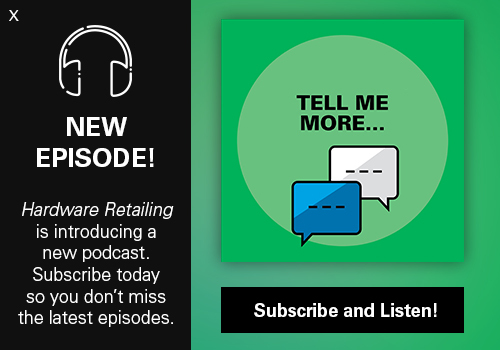 You might discover some hidden talent and someone who can be a regular part of your merchandising team. 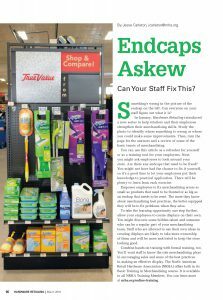 Staff who are allowed to use their own ideas in creating displays are likely to take more ownership of them and will be more motivated to keep the store looking good. Combine hands-on training with formal training, too. You’ll want staff to know the role merchandising plays in encouraging sales and some of the best practices in making an effective display. The North American Retail Hardware Association (NRHA) offers both in its Basic Training in Merchandising course. It is available to all NRHA Training Members. 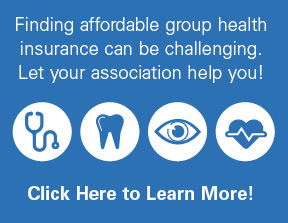 You can learn more at nrha.org/online-training. Endcaps can boost your competitive price image, so price needs to be a big part of the signage. For best results, highlight prices that are good deals. It’s also a good idea to have several endcaps with prices below $15, because displaying lower prices give you a favorable price image overall. Signage with empty spaces can make the entire salesfloor look incomplete. 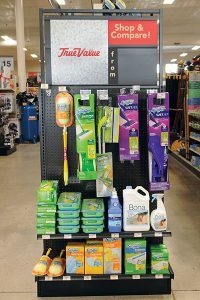 Endcap signage tends to be some of the most prominent in your store, so use it to maximum effect to reinforce your brand and price message. 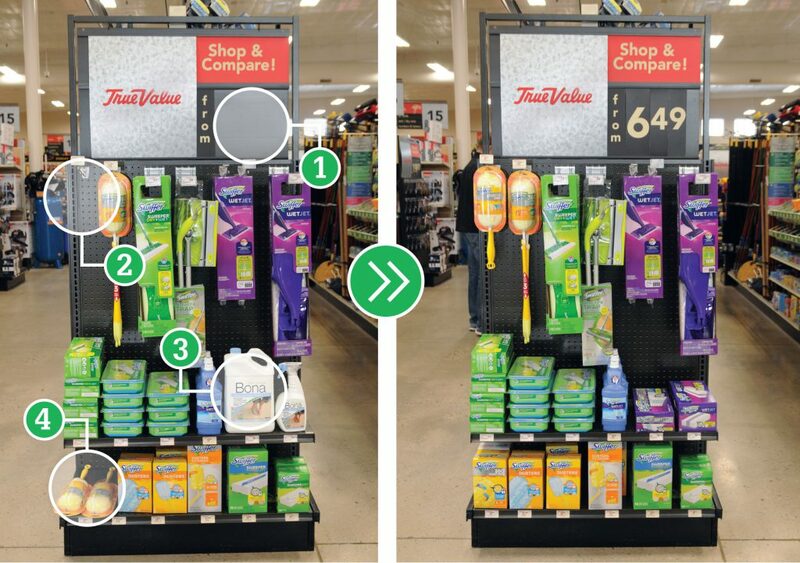 Endcap promotions are designed to move products quickly. But endcaps also need to be full so customers have the confidence you have everything they need. When you do sell through an endcap product, replace it with something else or change out the entire endcap. Remember, it’s a good idea to rotate endcaps, on average, at least once a month. A shorter cycle may be more practical for selling promotional products when you only have a limited quantity. Effective endcaps group related items together. In the case of the photos below, the overall theme is floor care, but it’s also focused on a specific manufacturer. Having only a couple of items that do not relate to that manufacturer, even if they relate to the general theme, weakens the overall impact. This display also shows all the items a customer needs to complete a particular project. Finally, project endcaps will be most effective if they are seasonally relevant, in this case, during spring cleaning. Consider symmetry and balance when creating endcaps. Put larger items on the bottom and smaller items toward the top. 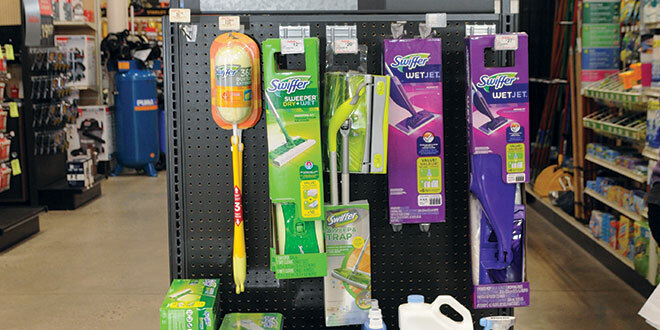 In this case, the dusters on the bottom shelf are better sized for the hooks at the top. Putting them there also means similar items are grouped together, so customers can easily see all of the sizes available. A project endcap is a convenience for the customer and encourages add-on sales for a larger transaction size.